During an emotional exchange between my wife and my just-teenage son, among other proclamations of how much she loves him, my wife declares, “I’d die for you.” Well, of course that put an end to his argument and he begrudgingly did what she’d been asking him to do. (A pretty low blow if you ask me.) There’s no way he can top that because kids usually won’t die for their parents, especially at that age. But it did get me thinking about the little things parents do for their kids to make their lives better. These gestures of love for the most part go unappreciated until the kids have children of their own and realize how much effort went into allowing them to have joyful childhoods. I remembering living in San Francisco in my early twenties and having trouble with my finicky car. I knew the problem had something to do with the fuel system but couldn’t figure it out. The next weekend, my dad drove down from Seattle with his tools in the back of his van and helped me suss out the problem and replace the carburetor. Even at twenty-years old, I took it as just “my dad loved any excuse to get in the car and drive.” But now being a dad with lots of things to do and various obligations, I know it was a sacrifice of his time to help his son. 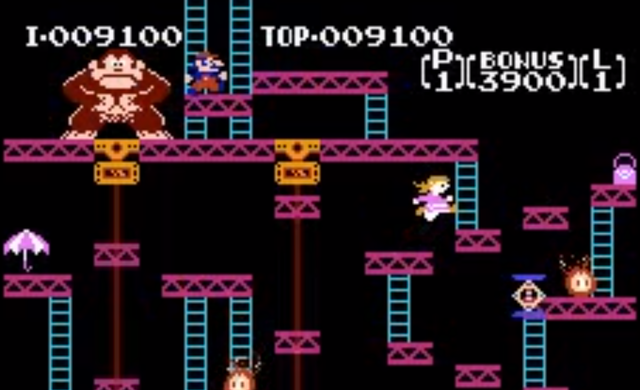 There was a story of a young girl who was playing Donkey Kong but was disappointed that she always had to play Mario rescuing the princess. She was the princess and didn’t understand why she couldn’t save Mario. Step in her awesome dad. He hacks the software and changes the avatar skins which allow his daughter to be the princess and save Mario. To her, it’s just “the game got fixed.” To the rest of us, it’s a dad who loves his kid. I’m sure he’d even be willing to die for her. I always wanted to hack a video game and have the characters tell my children to do things I wanted them to do. If Mario or Luigi told them to do the dishes before the next level they would have raced to do their chores.